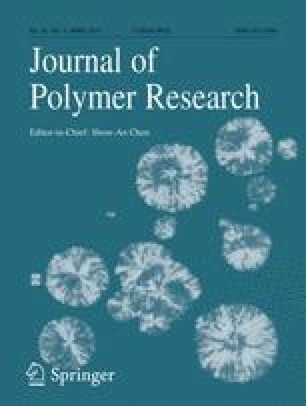 Polymeric nanofibers have been intensively investigated in a wide range of areas, due to its unique characteristics, such as high surface area, attributed to the nanometric structures, high porosity, related to the elevated interconnectivity of the formed network, besides the excellent mechanical properties, what depends on the polymer used. Currently, an instrument that has been revolutionizing research in the synthesis of nanofibers, in the production of new materials or the incorporation of particles, is the airbrush. The most common method for producing nanofibers after eletrospinning is based on the solution blow spinning concept, using solution polymers or fused polymers, which requires two parallel concentric fluid streams: a polymer dissolved in a volatile solvent and a pressurized gas flowing around the polymer solution, creating fibers that are deposited in the direction of gas flow. In this work, a rapid and easy methodology was developed for the production of polyvinylidene fluoride (PVDF) micro and nanofibers using a commercially available airbrush and air compressor. Micrographs of scanning electron microscopy showed there is an optimal conditions for the formation of perfect fibers. Furthermore, the FTIR spectrum and the X-ray diffractogram displayed the existence of two distinct phases of the polymer, the predominant is the β-PVDF and the minority is the α-PVDF phase, which is related to the elongation suffered by the nanofiber during the spinning process, even addressed by her by the SBS technique. To CAPES and the CNPQ for the financial support of the research and to the colleagues and partners members of the work at UNESP campus of Ilha Solteira and the partners of the UEM.